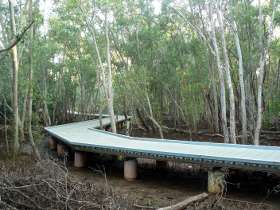 The Casuarina Mangrove Boardwalk connects Rocklands Drive in Tiwi with Casuarina Beach and provides an interesting walk or bike ride through a section of the mangroves behind the beach. 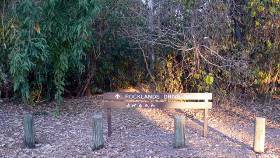 The entrance to this track is not all that obvious, look along Rocklands Drive between the hospital and Trower Rd. 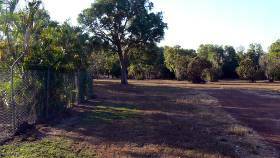 About halfway along there is a small fenced off area, with a rough track along the side running towards the beach. 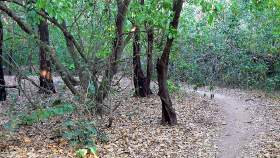 A short walk along a gravel path brings you to the beginning of the metal mangrove boardwalk which snakes ahead through the mangroves. This mangrove area is only inundated at high tides, so most of the time you will see the muddy habitat that mangroves are famous for. There are a couple of boardwalks along the track, with higher ground in between which is in no danger from even the highest tides. 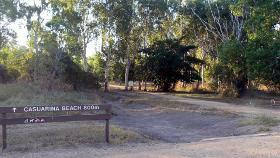 Entrance from the car park behind the beach. The entire walk covers about 800m and brings you out at the car parks at the back of the beach. 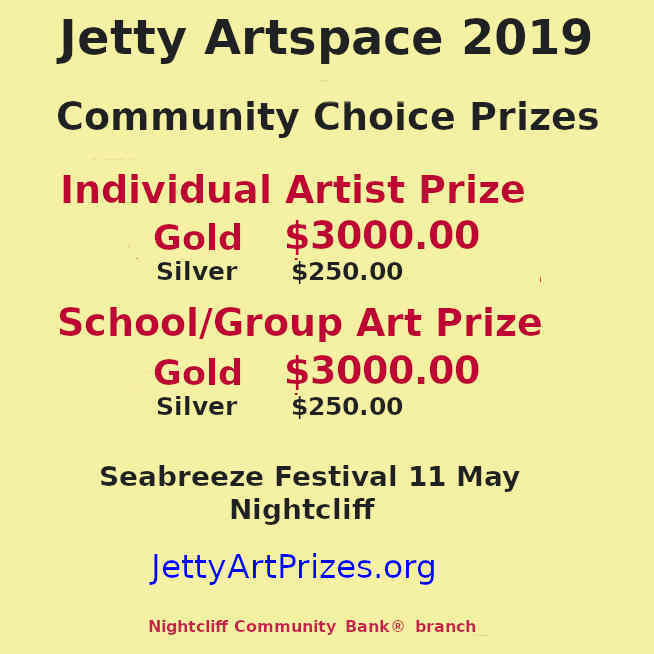 There is another similar walk which begins at the back of the hospital and intersects Casuarina Beach further along, behind the free beach section. This walkway crosses Sandy Creek much closer to the sea where it is deeper with permanent water flows. 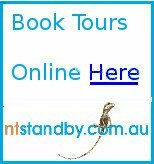 Return from Casuarina Mangrove Boardwalk to Enjoy Darwin Home.